Thinking of letting your holiday home? There's always demand for good quality holiday accommodation in this beautiful part of the country, and the high level of repeat business we get from holidaymakers and homeowners is testimony to the expertise and attention to detail we deliver. 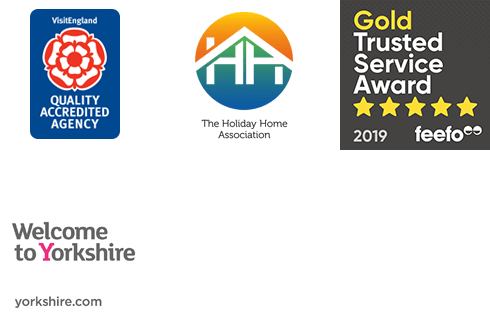 With over 40 years experience, we are a leading independent holiday lettings agency and our family-owned business has a wealth of knowledge we're happy to share with you.We believe you'd have to go a long way to find a more experienced or professional agency to look after your property, and we're proud of the personal service we offer too. On these pages you'll find information on the various services we can offer, from managing all aspects of your property or simply acting as your booking agent. Whether you're an experienced holiday home owner or considering letting for the first time, we'd love the chance to tell you more so get in touch to arrange a visit or request a copy of our Owner Pack to find out more about how we can work together to make your holiday home a success. If you have a second home or are thinking about purchasing one, then Ingrid Flute’s Yorkshire Holiday Cottages can help with every aspect of becoming a holiday home owner. We offer a range of Property Management packages that can be tailored to suit your needs, from comprehensive management to sourcing you the perfect cleaner. Both online and offline, our innovative marketing campaigns ensure your property reaches its full potential. Bookings are just one of the many benefits to being an Ingrid Flute owner, find out about our exclusive discounts here. If you're new to holiday letting (or looking to expand your portfolio), the easiest way is to purchase an already successful holiday let.